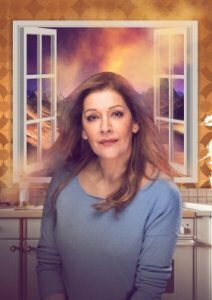 Making her West End debut, Star Trek: The Next Generation star Marina Sirtis will take the lead in the world premiere of Dark Sublime. Further casting, including an iconic voice of Science Fiction, will be announced in 2019. Directed by Andrew Keates (As Is and Dessa Rose – Trafalgar Studios), Dark Sublime, the debut play by Michael Dennis, is a love letter to British sci-fi television – both those that make it and those that adore it. Interrogating ideas of hero worship, Dark Sublime follows an unlikely new friendship as an old one fractures. Oli arrives at the door of a now-forgotten sci-fi icon – impatient to make friends and to make something of his life. Marianne, a jobbing actress, knows about waiting – for the phone to ring, for her best friend to see her differently, for her turn at something more substantial than a half-remembered role on a cult TV show. He wants an autograph; she doesn’t want anything from him. Yet as they start to explore each other’s worlds, they begin to discover what every good relationship needs: time and space.